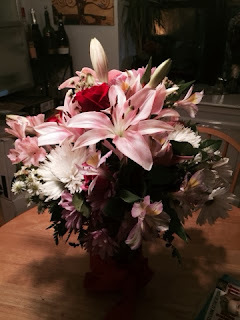 Last Friday, was Valentine's Day - and Adam and I spent a nice night in. I cooked a special meal of steak and mashed potatoes along with some broccoli, salad and wine. 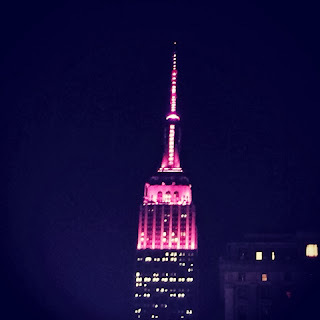 We aren't much a fan of going to a restaurant on Valentine's Day - we prefer to just share it together. We also rented Captain Phillips which, although not a very romantic movie, was very good. Plus, makes me more prepared for the Oscars. On a separate note, I'm preparing well for Oscar Night having already seen: American Hustle, Gravity, Enough Said and now Captain Phillips. 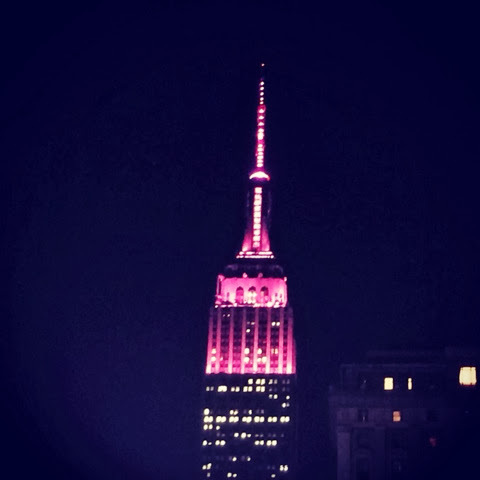 Here's a photo of the Empire State Building last Friday - it looked very pretty in pink for Valentine's Day. Next up we have the BEAUTIFUL bouquet of flowers that Adam got me for Valentine's Day which have lasted amazingly all week and since they came early because of the snow storm last week, I've had a long time to enjoy them. 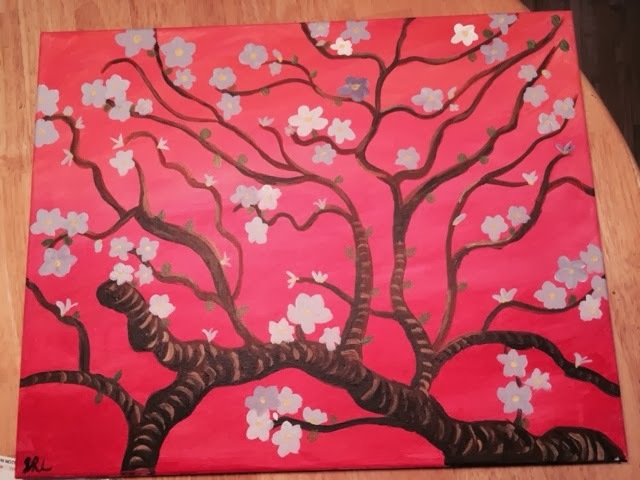 This weekend I went with some friends to the Painting Lounge. I had gone about a year ago with some other friends and had fun both times. If you don't know what it is, it's a class where they help you recreate, or be inspired by a famous painting. 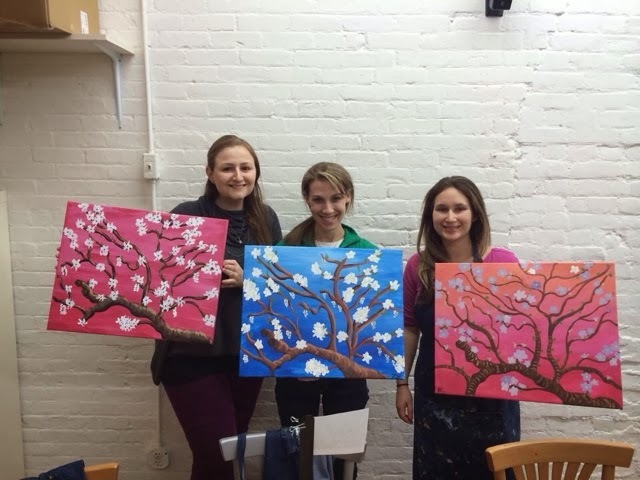 Here's a photo of from this session with our Van Gogh Almond Blossoms inspired paintings, and my final product. 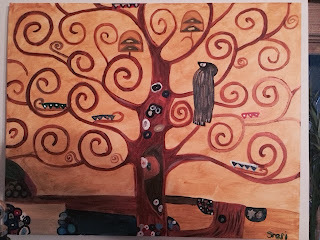 This last photo is the Gustav Klimt The Tree of Life inspired painting from last year. If you are looking for a fun activity I definitely recommend checking out the Painting Lounge (one in Brooklyn and one in Manhattan). They are also BYOB so you can drink and paint, just like any good famous artists. And if you are interested in going, keep any eye out for coupons and groupons because you can find them often. 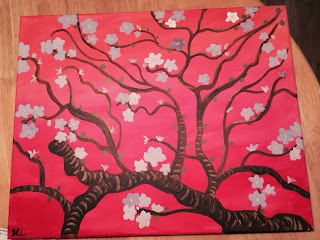 Beautiful painting, I like it that you were creative with the pink background, very nice.